The R&S ZVL network analyzers are a new addition to the extended family of R&S Vector Network Analyzers. It addresses the lower price segment with a lightweight and compact design that covers applications in the middle and low-end. Especially interesting is the combination of ZVL with the spectrum analysis option as well as the DC/battery option. 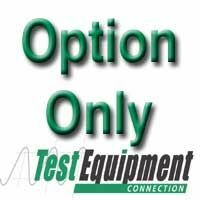 The spectrum analyzer option offers similar specifications and same features as the FSL. ZVL is the first instrument in this performance class that is available with network and spectrum analysis functions.